THE recent corporation tax controversy highlighted by Democrat Hillary Clinton and Republican nominee Donald Trump is part of US election fever and is not damaging Ireland’s reputation as a place to do business, the former chief executive of tech giant Apple and drinks firm Pepsi said. 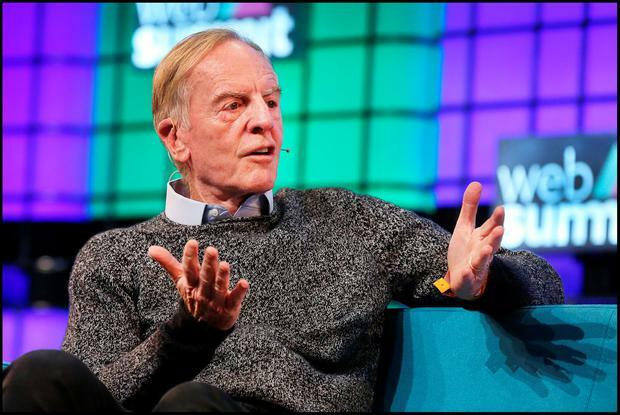 John Sculley, the man who is now also known as the boss 'who fired Steve Jobs, said the tax inversion drama surrounding the potential multi-billion merger of pharma giants Pfizer and Allergan is to be expected ahead of next year’s election. Tax inversion is the term for the relocation of a firm’s legal domicile to a lower tax county while usually keeping its material operations in the country of origin. In the Pfizer/Allergan case, the latter is already based in Ireland, where our low 12.5pc corporation tax rate is already controversial, and any merger would result in Pfizer benefiting from the lower one. In addition, Ireland’s tax treatment of Apple is currently under investigation and the EU is expected to shortly issue a decision as to whether this country is offering it a sweetheart tax deal. “I don’t think (Ireland’s reputation is being damaged), when I was at Pepsi we were the second international company to come to Ireland, Henry Ford was the first,” Mr Sculley told Independent.ie, in an exclusive interview. “And when I was with Apple, we were the first high-tech company to invest in Ireland. I met with the IDA and ex Taoisigh. “I am a big fan of Ireland, it will continue to do just fine and it has great relationships with the US, I’m bullish on Ireland,” said Mr Sculley (76) who was chief executive of Apple, from the 1980s until 1993. However, he conceded that the tax inversion issue is a messy business and will have to be addressed by the US government, even if that is unlikely ahead of next year’s election. “There’s political gridlock in the US between the Democrats and the Republicans,” he said. “Everybody in the business community realises we have to change the tax code, it’s antiquated and causing real problems for multinational companies that want to do business all over the world. “We have over $2.5 trillion dollars trapped outside of the US which everybody knows needs to be brought back and restructured,” he added. These days Mr Sculley’s attention is mainly dedicated to two firms he co-founded in the past decade. Obi Worldphone is a fast-growing smartphone firm targeting developing while his data analytics firm - Zeta Interactive is valued at $1bn. And actor Jeff Daniels recently played Mr Sculley in the critically acclaimed film Steve Jobs. “Jeff Daniels is a fabulous action,” he said. “But this is not a biopic. “And in many ways not the accurate story of Steve Jobs, it focuses on his young life when he and I were best friends. Adrian Weckler Paddy Cosgrave’s Web Summit is to move MoneyConf, the 5,000-strong financial technology conference scheduled for Dublin this June, to Lisbon. Independent.ie Business Desk Join us on Independent.ie for highlights each day from the main speakers and talks of the 2018 Web Summit.